Imagine this: you’re tired. You’re hungover. The world is too loud, the light too bright and the air too warm and heavy for you to even think about leaving the house. And someone brings you a cup of tea, builder’s tea, with maybe too much milk, some sugar still sitting at the bottom, the last few sips much sweeter than the ones before. And then they make you toast. Just plain toast, from sliced bread, a thick layer of butter, edges crispy and burnt. A simple act of love. There is something about The Electric Elephant café that reminds me of this very feeling. It’s the quirky interior, the mismatched furniture and worn tablecloths. 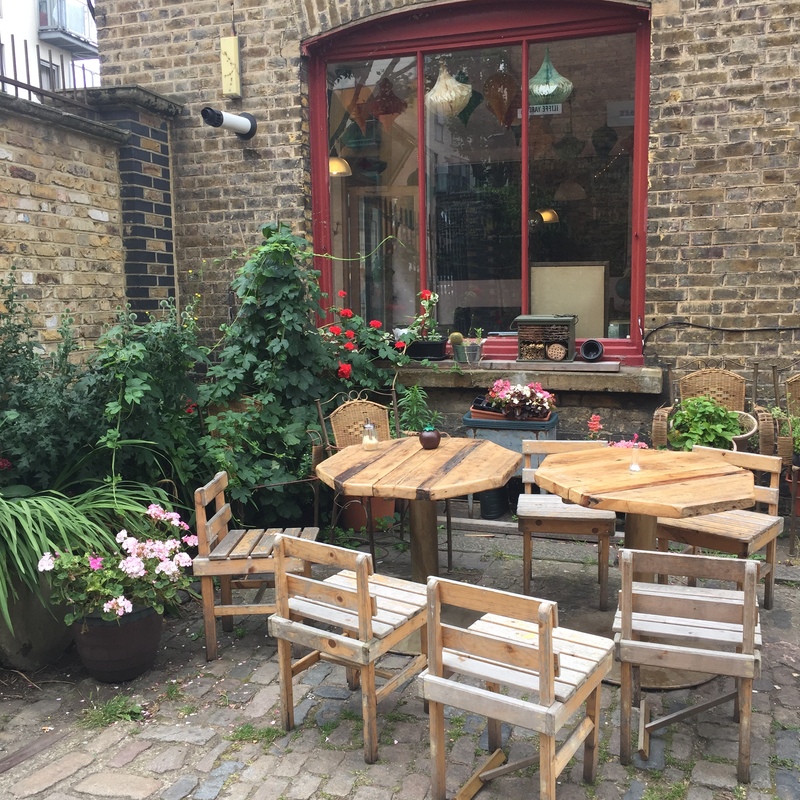 The wooden tables in the sun-soaked courtyard, the noise of bacon sizzling, the warm service. 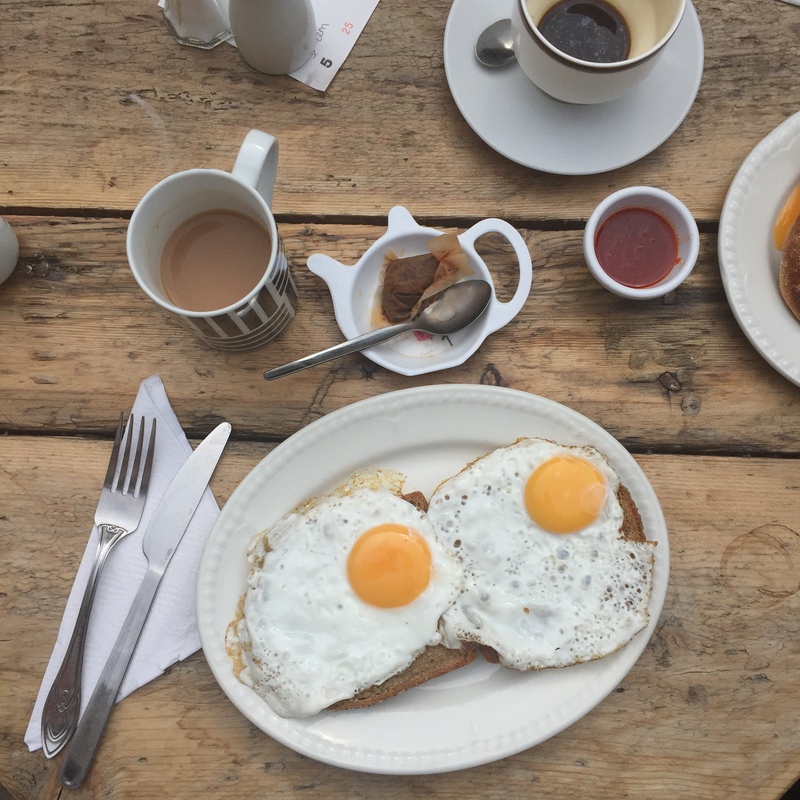 From a minuscule kitchen, really just a corner of the café, they serve simple, quintessentially English breakfasts; fried, oozing eggs; crispy, chewy English bacon; thick susages, crumbly fishcakes that break down on your toast. 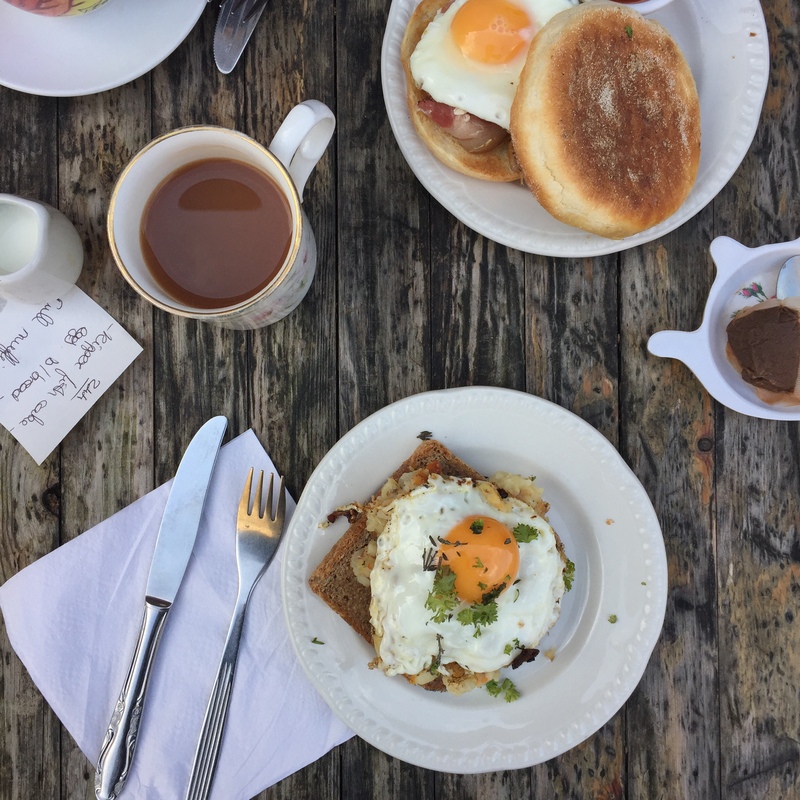 But also, peppery bubble and squeak on toast (on toast. Potatoes on toast. ), little pots of pale, creamy butter, a jewel-hued red pepper chutney which they also sell in jars. 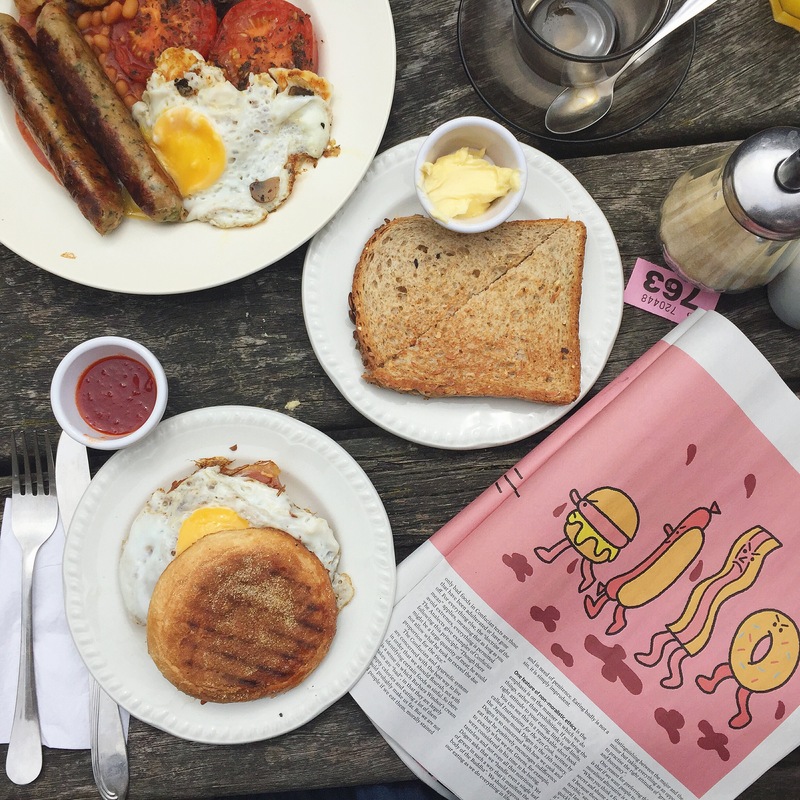 Then there’s the strong, dark coffee, the mismatched mugs and cups, your order handwritten on a piece of paper, friendly chatter, couples and friends and families curing hangovers and preparing for the day ahead with a full belly. 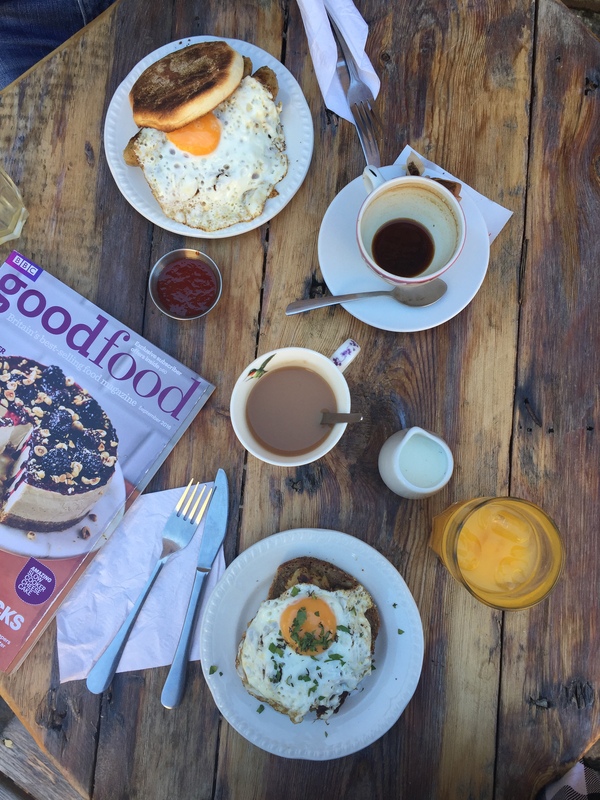 In summer, you can tuck into your scrambled eggs in the sun, flicking through a magazine and enjoying the breeze; while the inside is especially welcoming and cosy in winter. But most importantly, the Electric Elephant possesses the magic quality of feeling like an extension of your own house.